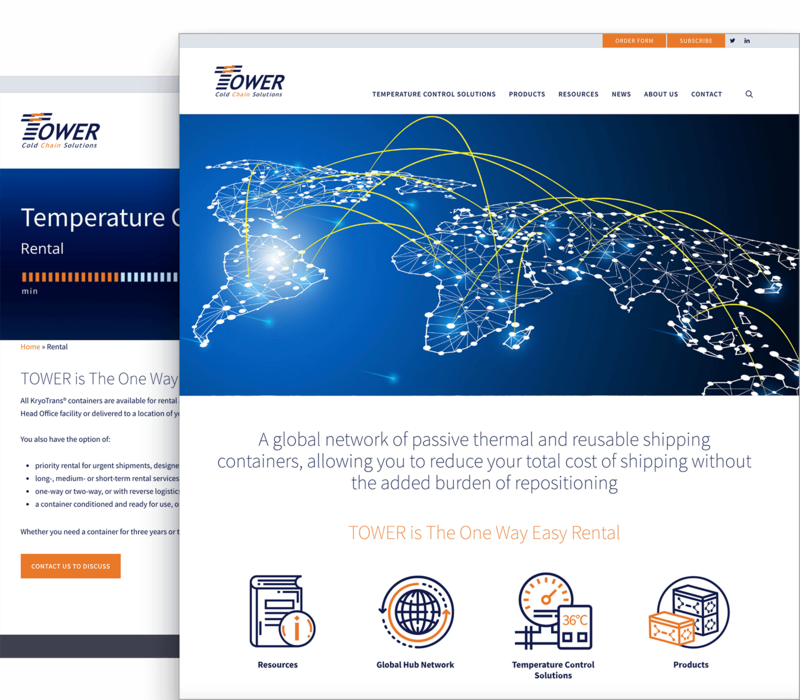 to facilitate Tower Cold Chain’s rebrand. Tower Cold Chain Solutions provide services to the logistics industry, offering the KryoTrans® range of reusable controlled-temperature containers on a rental basis. These containers can facilitate the reduction of the total shipping cost, which Tower Cold Chain is committed to providing whilst maintaining its global supply chain. 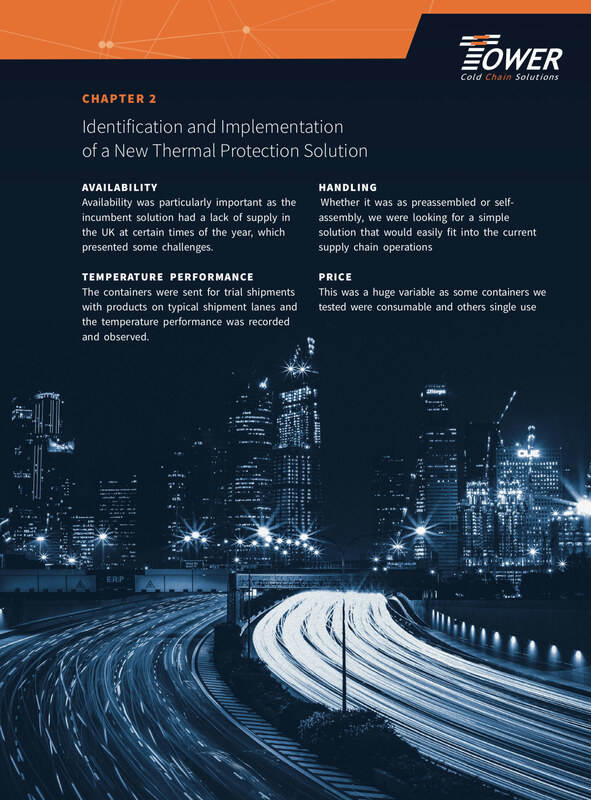 We have worked with Tower Cold Chain on a number of great marketing initiatives which you can see below. Design a brand identity reflecting the company’s new phase of growth investment, shifting the brand from product-based to that of a global solutions provider. 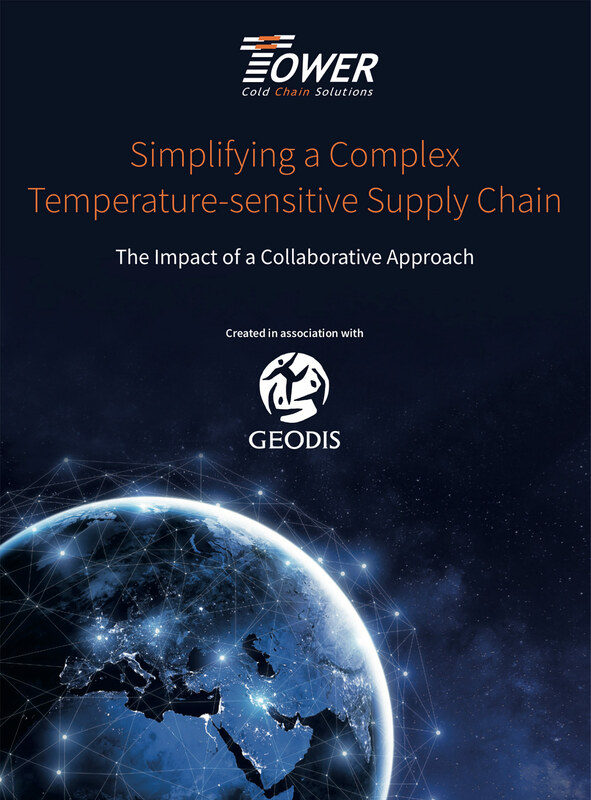 Address a much broader customer profile with a more appealing website and brand identity shifting emphasis from the local elements of specialist cold-chain couriers, to global pharma brands such as GSK and AstraZeneca. Provide clearer calls to actions, increase customer engagement and enquiries over time. To produce all supporting documentation to inform PR campaigns. After discussing the brief with the client and agreeing their brand personality and colour preference, it was time to build an enticing and professional website that would resonate with the company’s new customer base. The homepage features a main slider complete with fast-loading video and icons that animate on hover to reveal more information and clickable links. The web site design is contemporary and professional. Additional features include a customer login section with performance simulator and scrapbook. Sales leads are generated with a mandatory registration process to access product documentation. For new and existing clients there is an improved content library and linked content with share functionality. Our graphic design services involved creation of an ebook presenting case studies, interviews and industry insights. This has already generated a great deal of interest, leading to a number of enquiries. The design of the ebook follows the company style and colour brand, but serves a greater role by imparting relevant information to prospective clients. We created a white paper with high quality, helpful content to help generate inbound leads. Case studies and whitepapers are two of the most powerful and sought-after types of content by engineers, so it can be an crucial business practice to include them. 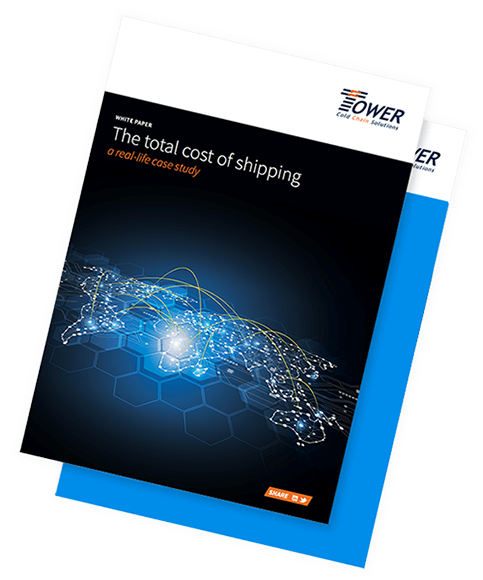 The white paper we designed incorporates tables, charts and diagrams with Tower Cold Chain’s new brand imagery to help Tower engage with key stakeholders in their marketplace. © 2019 Reactive Graphics - Web Design London.